180˚ degrees is a masculine fresh, spicy fragrance for the adventurous man who defies conventional rules. 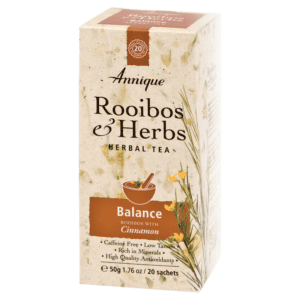 Annique’s Balance tea is caffeine free, low tannin, rich in minerals, high quality antioxidants.Cinnamon may help in maintaining a healthy blood sugar level. 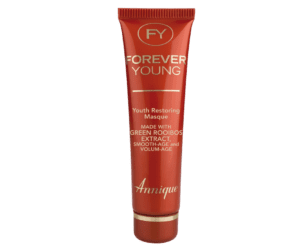 Annique’s Colour Caress BB Cream SPF 30 with antiageing peptide complex and Green Rooibos extract combines outstanding skin care benefits with superior coverage. 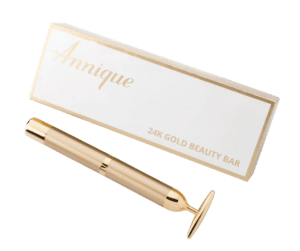 Improves the appearance of brown spots and restores radiant luminosity to the complexion, promoting brighter, younger and healthier looking skin. Take years off your look, in only ten minutes! 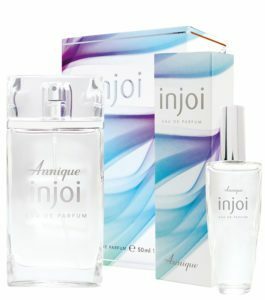 Experience the inner joy and freedom Injoi brings with its dreamy charm and floral music. Ultra-nourishing and luxurious. Suitable for intensely dry skin. 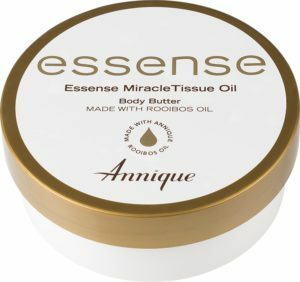 Enriched with shea butter and cocoa butter which helps to moisturise and protect dry skin. 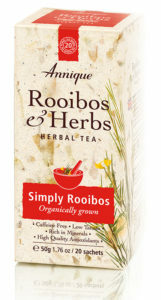 Contains Rooibos-infused oil to soothe, comfort and relieve dehydrated and dry skin. 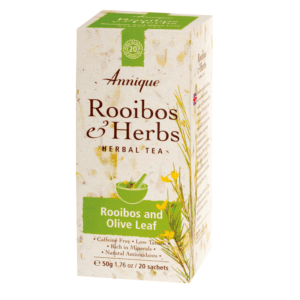 Especially formulated with Annique Rooibos Oil to help calm and moisture your skin and help improve the appearance of scars, uneven skin tone and stretch marks. Purchase this product today! Fill in the form to find your closest Annique Consultant! A luxurious fusion of nourishing ingredients. It gently buffs away dry, dead skin cells, while nourishing and moisturising skin, leaving it looking and feeling smooth and revitalised. Purchase this product today! Fill in the form to find your closest Annique Consultant! 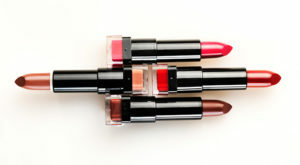 A rich, colour intense lipstick that offers long lasting moisturisation. Enriched with Moisture+ Complex for long lasting moisturisation. A safe fat burner, containing no stimulants or unhealthy weightloss or performance enhancing ingredients. It is specifically formulated to reduce body fat and increase lean muscle mass, resulting in improved body shape. “The epitome of glamour and opulence, with a deep, spicy, oriental, floral fragrance. 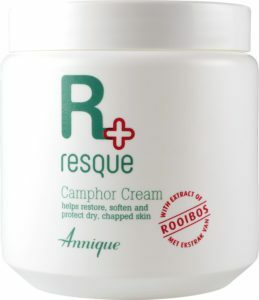 A non-greasy, soothing and deeply nourishing cream with warm benefits of glycerine and cooling effects of camphor that help to intensely moisturise, restore, soften and protect rough, dry and chapped skin. Say goodbye to painful, cracked heels and dry feet with Resque’s Softening Foot Cream. Start your day off healthy with a boost in energy and mental clarity. 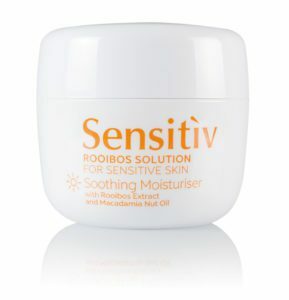 A gentle, nourishing formula that has been developed specifically to meet the needs of a sensitive skin, with added protection for harsh South African climatic conditions. 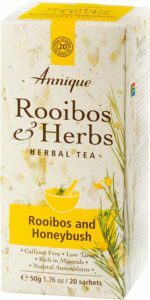 Annique’s Simply Rooibos Tea is organically grown in the Cederberg area of the Western Cape, and provides you with the best nature has to offer. A fresh and energetic fragrance for the bold, charming woman. 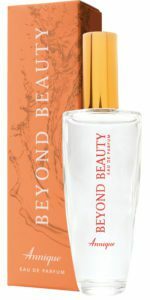 This vibrant floral, fruity top notes of melon and green apple. Feminine floral notes of rose, jasmine and lilac are followed by sophisticated base notes of sandalwood and musk. 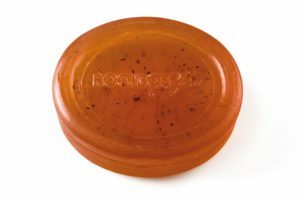 Helps to gently nurture and hydrate oily and problem skin at night, without clogging the pores. 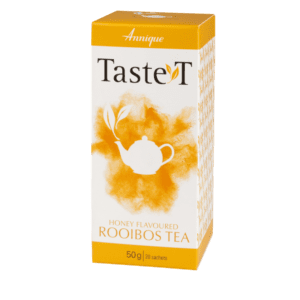 Enjoy the refreshing, calming taste of Honey Flavoured Rooibos Tea.